Nuts are an indispensable food for the health and nutrition of people. They contain many vitamins, minerals and trace elements that are vital for the body. Nuts are a food that largely assists the beneficial ingredients of meat, making them an integral part of the vegetarian menu. 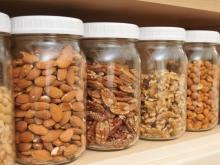 By definition, nuts are dried fruits that have one or more seeds with a very hard shell. An ancient tradition of the Celts is that the patches on the back of salmon came after the fish tasted the nuts of nine sacred trees. It is believed that it gives wisdom to anyone who has tasted the hot broth of boiled fish. Even in ancient times, people believed that hazelnuts have magical powers, being able to prevent lightning strikes, protect the innocent from the jinxes and evil forces of mice and snakes. The use of these nuts begun during the Neolithic and archaeologists often find fossilized shells of these nuts during excavations in Europe and Asia. We need clarification that some fruits are promoted as nuts, including pistachios, Brazil nuts, macadamia nuts, cashews, which do not meet this definition of their biology. However, we will look at some of them because of their popularity as a nut. Walnuts. Even the Romans come to know the taste and medicinal properties of walnuts. About 15 varieties of so-called royal walnut are common in Southern Europe, East Asia and America. It was believed that the nuts came from the land of Persia, but archaeological excavations in France discovered traces of these nuts, which were from over 8000 years ago. In the early 16-17 centuries snacking on these nuts was considered a means of clarifying the mind, which has many benefits brain and heart. Today, these claims have scientific justification. Walnuts are a source of fat, vitamins A, C and D and tannin. Almonds. The history of almonds can be traced even to the tomb of Tutankhamun. It is believed that almonds come from Southeast Asia and cultivated forms of the plant that can mature at northern latitudes (British Isles). These nuts come from a tree that grows to heights of between 4 and 9 meters, with white or pale pink flowers. Evidence of almonds comes from the Early Bronze Age, in the Middle East. Almonds are rich in vitamin E and contain oil and emulsion, which makes them widely exploited in the cosmetics industry. Almonds are mentioned in the Bible too. Peanuts. Peanuts are legumes and have a family relationship with lentils and peas. These nuts are a favorite among monkeys come from the land in South America between Brazil and Peru. The peanut is a herbaceous plant with underground fruit. After its flowers dull, they lean against the ground and are then inserted into their pits. The fruit can only grow in the dark, at a depth of 15 cm. Peanuts are high in protein and have a high amount of antioxidants. Chickpeas. This type of nut is very popular. It comes from the region of Asia Minor, and in particular in the vicinity of the great-biblical city of Jericho. Chickpeas are cultivated some 5, 000 years ago, in the Mediterranean, enjoying broad popularity among the Greeks, Romans and Egyptians. 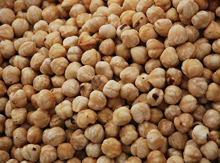 Today, chickpeas are grown and exported mainly from India, Pakistan, Turkey, Australia, Iran and others. Desi and Kabul are the two main types of these nuts. Chickpeas are low glycemic, containing a lot of vitamin B9 and minerals like iron, magnesium, phosphorus and zinc, molybdenum, manganese and copper. Sunflower seeds. Sunflower seeds are enjoying a wide popularity. They are the fruit of the beautiful sunflowers, which contain valuable and highly digestible protein, fat, and fat-soluble vitamins A, E and F. This makes it very useful for your eyes and blood vessels. 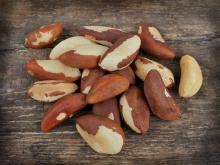 These nuts contain zinc, magnesium, and a very useful activity for the heart and nervous system. Pumpkin seeds. The seeds of the pumpkin are one of the most nutritious nuts. Today, the main exporters of pumpkin seeds are the U.S., Mexico, India and China. Compared to other nuts, pumpkin seeds are low-calorie and recommended for people with obesity and diabetes. Pumpkin seeds help digestion and act proactively on heart disease. Pumpkin seeds are nuts with a bunch of vitamins and minerals that are beneficial for the circulatory, digestive, reproductive and musculoskeletal system, also promoting good eyesight. Cashew. The cashew nut tree needs warm temperatures and originates from the basin of the Amazon river. Andeans give it many names, one of which is acaju (yellow fruit). India is another big producer of cashew and therefore often these nuts are called nutmeg. In the wrapping around the seed, there is oil, which is used to make ink for printing on fabrics and are therefore also called ink nuts an. The cashew nut is prevalent in the 16th century, when the Portuguese explorers set foot in contemporary Brazil. The biggest producers of these kernels today are India, Vietnam and Brazil. Together, these countries account for more than 90 percent of world exports of cashews. One of the best types comes from the southern Indian city of Kolam, which annually produces 4, 000 tons. 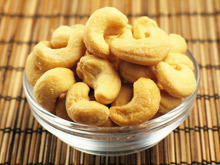 The cashew nut is a good source of copper, magnesium and phosphorus. Pistachios. The pistachio nut is from a frost resistant tree, whose fruits ripen, however, only in hot weather. It is a close relative of cashews. It originally comes from West Asia and Malaysia, but its reach stretches from Syria to the Caucasus and Afghanistan. These nuts were more popular with the ancient Greeks, who ate it with gusto and called it the magic nut. Pistachio nut spread to Italy from Syria, and hence in other Mediterranean countries. In the U.S., these tree nuts, appear for the first time in 1854, while the largest producers of pistachios are Turkey, Iran, Syria, India, Greece, Pakistan. Chestnuts. Trees with chestnuts thrive in warm and temperate climates, it is believed that their homeland is Malaysia. Legends tell that in 401-399 BC, the Greek army survived a retreat from Malaysia, because they ate chestnuts. Chestnuts are useful for athletes. They have low fat, lots of vitamin C, phosphorus, potassium and others. Chestnut contains twice the starch of potatoes, making it one of the most important food crops in Japan, China and South Europe. Hazelnuts. The hazelnut is a shrub reaching 3 to 8 m high, and sometimes even 15 meters, it is difficult to trace when hazelnuts were first used, but their fossils have been found in archaeological excavations in Asia and Europe. Hazelnuts are high in protein and vitamin E and low in fat compared to other nuts. Their use is popular in cooking, such as are a good friend of chocolate. In ancient times, our ancestors believed them to possess magical powers nuts – helping to prevent lightning and protecting them from jinxes. 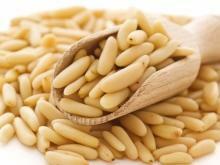 Pine nuts. They come from Lebanon. 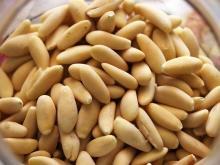 Pine nuts represent difficult cultivation, cream-colored fruits and made from different types of pine trees. They resemble very swollen rice grains. These are widely used in Spanish and Arabic cuisine. Apricot kernels. Raw apricot kernels bring many health benefits. For their well-balanced amino acid composition of proteins apricot kernels have a high biological value. Their fats are also vital, because they contain essential unsaturated fatty acids. The kernels of apricots contain minerals such as potassium, magnesium, phosphorus, iron, vitamins A, E, B1, B2, niacin, phytosterols, dietary fiber and more. Apricot kernels are beneficial for people with hyperlipoproteine in atherosclerosis and coronary heart disease in vegetarian types of dining and in anemia, debilitating illness, after surgery, trauma, burns, as well as the healing period. The composition of nuts varies depending on their selected form, their growing conditions and climate. Nuts are rich sources of essential nutrients, including protein, but are also very high in fat (47-64%). Nuts are an important source of large quantities of easily digestable essential substances - polyunsaturated fatty acids (PUFA), phospholipids, and vitamin E. 65 g nuts provide as much protein the body as 30 grams of lean meat. Nuts also contain significant amounts of vitamins, such as folic acid, niacin (vitamin PP), vitamin B6 and E and many minerals - magnesium, copper, zinc, selenium, phosphorus and potassium. Nuts contain no cholesterol. They are high in fat, but most (about 85%) of their fatty acids are unsaturated. 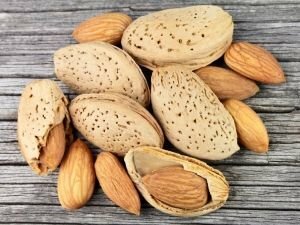 Eating only 50 grams nuts a day, one supplies the body with about 13.5 g protein, 8 g carbohydrates 205 MP phosphorus, 90 mg of magnesium, 370 mg potassium. They have a high content of biologically valuable lipids, making some nuts vital sources of vegetable oils. Only chestnuts are low in fat - about 2 percent. Nuts contain essential omega-6 and omega-3 fatty acids. To get the maximum benefit from nuts, eat them raw. Heat treatment kills a great deal of vitamins and minerals. 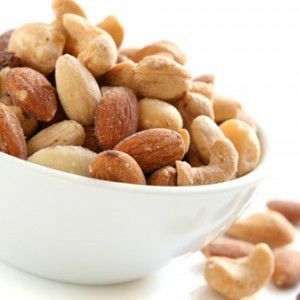 The main qualities of raw nuts may indicate their role as suppliers of protein in the body, as antioxidants against stress and boost the immune system. With their help, calcium is more effectively absorbed in the body. Another valuable component of nuts is folic acid, which is needed for cell division and the formation of red blood cells. 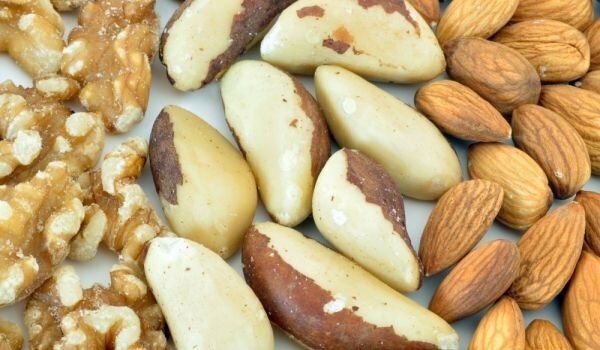 Regular consumption of different types of nuts reduces the possibility that other foods consumed fat to accumulate in the walls of arteries. It was found that people who consume 100 grams of nuts a week are 30% owing to the lower incidence of anemia, goiter, varicose veins, and enlarged prostate. They suffer less from heart problems and have good bone and tooth enamel compared with those who rarely or never ate nuts. Nuts are widespread in eastern folk medicine. Due to their high calorific value, they are an invaluable help in compiling diets for obesity, recovery from serious illness or prolonged labor. Everybody knows their rejuvenating effect due to antioxidants - vitamin E, selenium, flavonoids, unsaturated fatty acids, which dispose of free radicals, destructive force on the body. Nuts reduce levels of "bad" cholesterol in the body that increases the risk of cardiovascular disease and maintain the level of "good cholesterol." Meanwhile, disposal of free radicals, which cause diseases such as atherosclerosis, cataracts, varicose vein disease, Parkinson's disease Alzheimer's disease, stroke, bronchial asthma, diabetes, depression, many types of cancer, nuts are prophylactic remedy. Walnuts proven to improve mental alertness, strengthens the heart, helps with stomach problems and liver. It is recommended that nursing mothers and young children. Sunflower seeds are especially useful for all endocrine glands, mucous membranes, blood vessels and eyes. 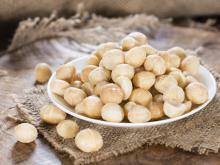 Chickpeas in the second-fat soybeans on the family of legumes and useful food for vegetarians. Peanuts are rich in folic acid and high in dietary fiber, which gives a feeling of satiety and thus recommended as a component of weight loss diets. 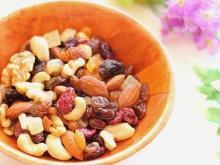 Eating nuts lowers cholesterol, reduces the risk of cardiovascular disease and improves memory. In diabetic patients are suitable regulator concentration of insulin and blood sugar. Almonds are an important addition to the diet of pregnant and nursing mothers. They have a high calcium content, which makes them an ideal tool for the growth of young children. The US National Medical institute has recommended these nuts for problems with the gastrointestinal tract. It's good for people suffering from heartburn too. Chestnuts are rich in starch. They have a slightly costive effect which is known in folk medicine as a remedy for diarrhea for a long time. Chestnuts are nuts that fortify the walls of your veins, making them a very good remedy for heavy menstruation and varicose veins. Chestnuts with water that are cooked (unpeeled) help treat hemorrhoids. Hazelnut, with its high content of vitamin C, iron and calcium is recommended for severe infectious diseases. High levels of iodine help to prevent endemic goiter. 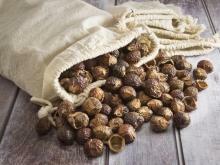 According to folk medicine these nuts are ideal for the treatment of joint pain. 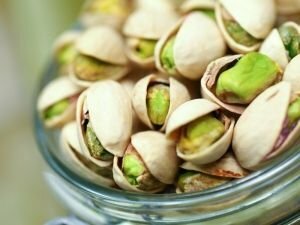 Pistachios are useful mostly for exhaustion after heavy loads, heart diseases, liver, jaundice and vomiting. 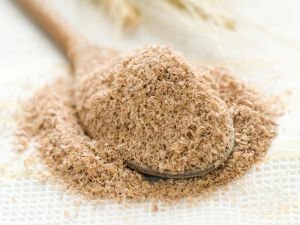 Folk medicine recommends that these kernels help patients with anemia, where the daily consumption of chestnuts in the autumn is more than recommended. Feet treated with ground chestnuts relieve rheumatic pain, while boiled or roasted chestnuts have a clear antidiarrheal action due to the high content of tannin and pectin in them. Peanuts and some other nuts can cause allergies that cause allergic shock, and thus unintended consequences. Chickpeas can also cause allergic reactions, as they have high levels of purines. These are natural compounds that are characteristic for plants, animals and humans. Increased intake is associated with the production of uric acid, which in turn is associated with the occurrence of gout and kidney stones. For this reason, people suffering from gout or kidney problems better to avoid consuming chickpeas. 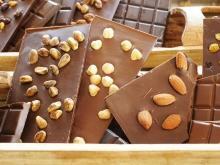 Nuts are rich in fat and not good for over-consumption. They make you feel fuller faster and excessive consumption can lead to stomach discomfort. 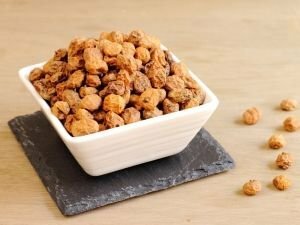 Lovers of bitter apricot kernels should limit their consumption to no more than 2-3 bitter apricot kernels at once - and then only on condition that they do not suffer from stomach and liver problems. This type of nuts is not recommended for people who follow diets for weight loss.